In Spring 2014, Rose Bunagan (LSBA 2014) was one of the peer mentors working on the Capilano University E-Portfolio Project. 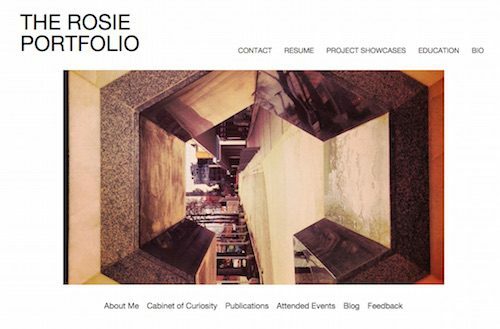 In addition to building out her portfolio, Rose assisted students from three CapU programs with the development of their digital portfolios. Since then, Rose has graduated from the Liberal Studies BA and moved on to other adventures, including tackling an MA in Liberal Studies at Simon Fraser University. Building on the discoveries and recommendations made after the Spring 2014 pilot project, the Liberal Studies BA is excited to be formally launching a Fall 2015 portfolio initiative with all newly admitted Liberal Studies students. We are even more excited to have Rosie back on deck as we introduce the portfolios to the students taking LBST 100 – Approaching Knowledge this term.